1. Only 5-15 MINUTES solved all splatter painting. 2. Repeated Usage up to 20-50 cars more. we have been developing some new item;these new items not only sale to our chinese agent, also want to sale some goods on alibaba direct. more infromation please download our product catalogue on our website. 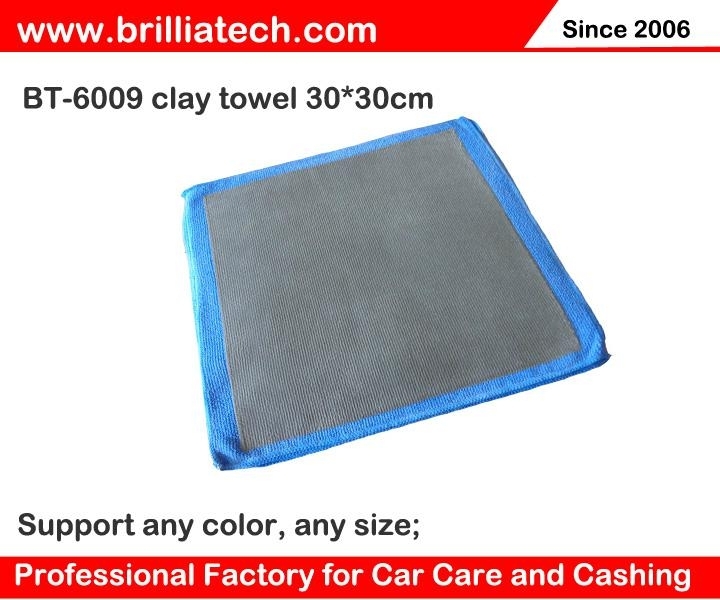 Brilliatech develop the magic gloves based towel, more and we can support to do different color and size of the GLOVES with magic rubber clay. Let your items shine and shine on your marketing. AutoScrub Wash Mitt can replace the need for a clay bar by safely and easily removing surface contamination! This process is much faster than a traditional clay bar and you can get the same great clean surface upon completion. This microfiber mitt has a special rubber polymer coating on one side that actually loosens and removes particles. This advanced rubber polymer technology will help you remove tree sap, residue from water marks, rail dust, road grime and other extra stubborn surface contaminants with ease. We first recommend washing the vehicle as you normally would to remove the loose contamination, but before drying we'll go back and rewash with the AutoScrub Wash Mitt. Now rinse the surface again and get a clean bucket of shampoo and water. Dip the AutoScrub Wash Mitt in your shampoo bucket and begin washing your paint with light pressure, just like your normal wash. If your vehicle is in great condition you can skip the first wash with your traditional wash mitt and go right to the AutoScrub Wash Mitt. When using the AutoScrub Wash Mitt you will be amazed at how quickly the advanced rubber polymers safely separate and remove contaminants bonded to the exterior. This means your paint will be truly clean and you can effectively apply a polish, glaze, sealant or wax afterward. Use the wash mitt on not only the paint, but the glass, moldings, plastics and so much more. If you ever drop it on the ground, no worries, just rinse the mitt clean with water and its ready to be used again unlike traditional clay bars! There is no need to spend 1 - 3+ hours with a clay bar anymore, the NanoSkin AutoScrub Wash Mitt get the job done while washing your vehicle! Very simply this is one of the most effective ways to deep clean your paint in a very short period of time. 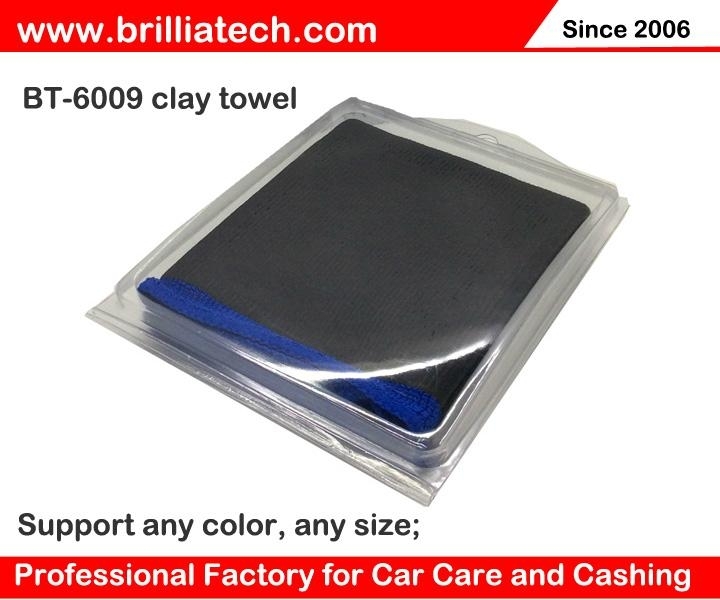 The Medium Wash Mitt is best used on vehicles with heavy build ups and the Fine Wash Mitt is best used on well maintained vehicles. these new items not only sale to our chinese agent, also want to sale some goods on alibaba direct. more infromation please download our product catalogue on our website.